Trout Unlimited this week came out against a lawsuit by several environmental groups seeking to stop Northern Water’s Windy Gap Firming Project from diverting water from the Upper Colorado River, calling the legal action “short-sighted” and potentially harmful to collaborative efforts already underway to improve habitat and flows on the Colorado River. The lawsuit, filed in U.S. District Court by Save the Colorado, Save the Poudre, WildEarth Guardians, Living Rivers and the Waterkeeper Alliance, questioned the need for the Windy Gap expansion to supply water to Front Range communities and argued that the project had not been properly analyzed for alternatives to further diversions. Trout Unlimited shares the groups' concern about the impacts of transbasin diversions on the Upper Colorado River. 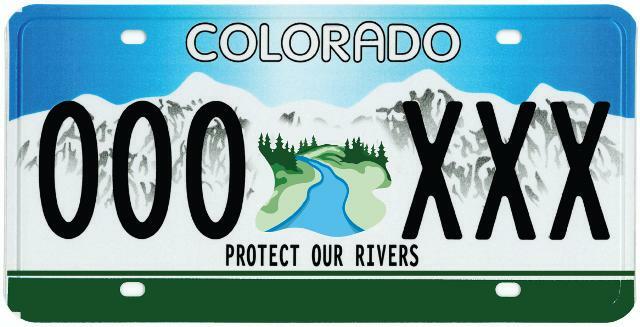 However, we believe the negotiated agreements with Denver and Northern Water - which include water to address low flow periods on the river and major investments in river habitat restoration - offer a better path for addressing those impacts than a lawsuit. “Water diversions are having serious impacts on the Upper Colorado River. Suing to kill the Windy Gap Firming Project, however, will not fix those problems. Millions of gallons of water are being diverted out of the Colorado River, right now, to supply water to cities in Northern Colorado and the Front Range. A lawsuit, while it makes for good soundbites, is not going to fix the very real impacts of those diversions or stop them from getting worse. As the population grows, more Colorado River water will be diverted, regardless of whether this project moves forward." Whiting pointed to several collaborative projects planned on the Upper Colorado, including the recently completed “Fraser Flats” project with Denver Water and other partners that restored habitat on the Fraser River, a major tributary of the Colorado, causing a significant and almost immediate jump in trout populations and spawning activity. Another major project being developed in cooperation with Northern Water is a bypass around Windy Gap Reservoir that will reconnect the headwaters of the Colorado River, delivering improved flows and habitat and potentially dramatic health benefits for the Upper Colorado River. For more information on the lawsuit and TU response, see this Loveland Reporter-Herald article.